For those of us from cooler climates (I’m from Maryland), we can have a hard time imagining the holidays without snow, scarves, hot chocolate, ever greens, and holly. However, a beachy, tropical wedding, can feel just as cozy and inviting. 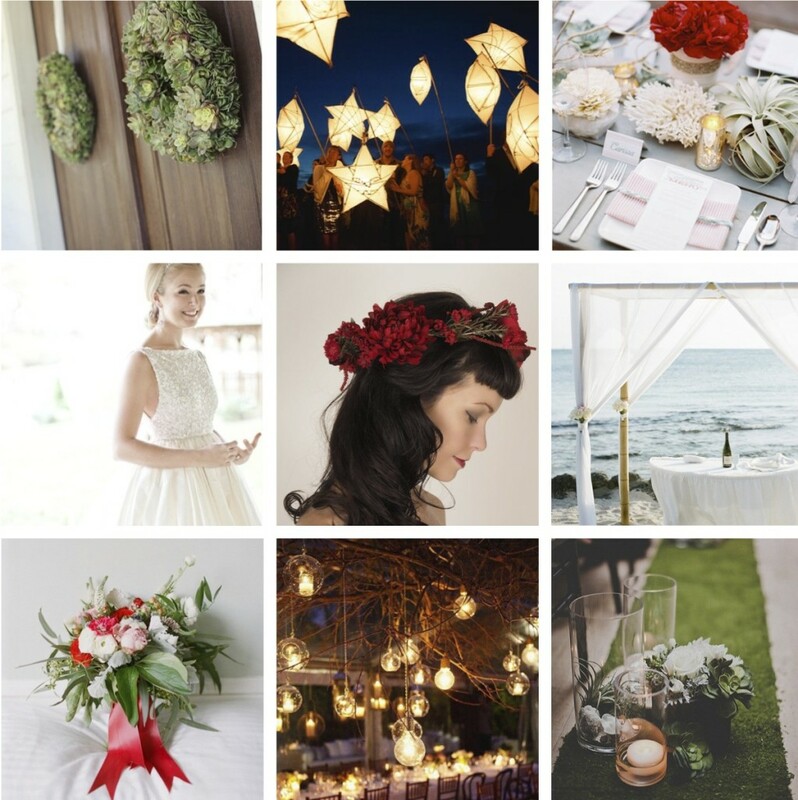 This is the inspiration board I’ve come up with for a holiday wedding in Costa Rica. I imagine lots of greens, in the form of succulents, tropical foliage and airplants, accented with dark red flowers and whites from corals, flowers and candles. And we mustn’t forget the sparkly dress and romantic lighting. Where to fine the… Wreathes, Tablescape, Floral Crown, Bouquet, Ceremony Aisle.